We strive to maintain ethical freelancer practices. We are committed to fair pay for fair work, and we allow creators to retain the copyright to their work. All submissions are paid submissions. We do not accept volunteer or free work. Please check our writers' guidelines. We also accept a small number of system-neutral articles, but we are not looking for fiction at present. ARTISTS & CARTOGRAPHERS. Our Art Director is Michael McCarthy, at ronarscorruption@gmail.com. We are currently looking for artists and cartographers, particularly those with science-fiction experience. EN5IDER WRITERS. We are looking for writers to produce articles and adventures for EN World EN5IDER. Articles are expected to be approximately 2,000 words in length, and adventures are expected to be approximately 7,000 words in length. 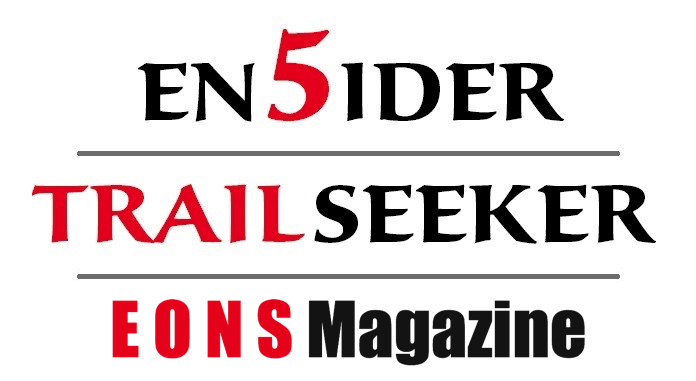 If you are interested in writing an article or adventure please send a proposal (NOT the actual article or adventure) to our EN5IDER Editor, Mike Myler, at mike.myler.adventures@gmail.com. See this style guide (PDF) for EN5IDER formatting requirements and be sure to check out our writers' guidelines. TRAILSEEKER WRITERS. 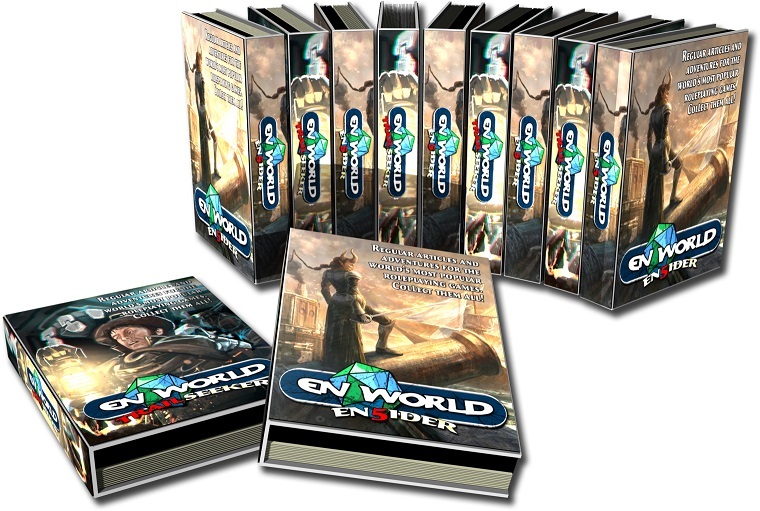 We are looking for writers to produce articles and adventures for EN World TRAILSEEKER, an RPG magazine focused on producing content compatible with the Pathfinder RPG�. Articles are expected to be approximately 2,000 words in length, and adventures are expected to be approximately 5,000 words in length. If you are interested in writing an article or adventure please send a proposal (NOT the actual article or adventure) to our TRAILSEEKER Editor, Felipe Real, at farealh@gmail.com. See this style guide (PDF) for Pathfinder formatting requirements and be sure to check out our writers' guidelines. EONS WRITERS. We are looking for writers to produce both fantasy and sci-fi articles and adventures for EONS, the official magazine of the What's O.L.D. is N.E.W. (WOIN) roleplaying game system. Articles are expected to be approximately 2,000 words in length, and adventures are expected to be approximately 7,000 words in length. If you are interested in writing an article or adventure please send a proposal (NOT the actual article or adventure) to Morrus at morrus@hotmail.com. See this style guide (PDF) for EONS formatting requirements and be sure to check out our writers' guidelines. You are expected to be familiar with the WOIN system mechanics. EN WORLD COLUMNISTS. We seek freelance columnists to write short 500-word pieces for EN World's news page. Please contact Submissions Editor Christopher Helton at submissions@enworldnews.com. See these writers guidelines. Each 'magazine' will initially produce one article per week, including one adventure per month and one system-neutral article per month which appears in both publications; this rate will increase as subscriptions increase. Payments will be made via PayPal on the 15th of each month. Turnaround time per article will be under one week, so if you send a proposal please be ready to start writing immediately - we work under a hectic, short-term, regular schedule! Fair pay. EN World is committed to fair pay for fair work, and does not ask artists, writers, or other contributors to work for free or to be paid "in exposure". Pay will increase as the subscriber base increases, but typical starting rates are $0.03 per word for new writers. For EN5ider we have reached a milestone which allows us to pay reliable, repeat writers a little more. Diversity. EN World is also committed to equality, diversity, and inclusiveness, and will endeavour to display this commitment in product content. Copyright. Unless otherwise stated, EN World does not aim to procure the copyright in work, including art (work is not work-for-hire) but does ask for a royalty-free worldwide license for use in EN World EN5ider or TRAILseeker and for the creator to refrain from publishing the content elsewhere for a period of one year; there is no such requirement for artistic content. Do I have to sign a contract? Yes. Each article we commission from you needs a contract. You are welcome to review the contract before agreeing to anything. What sort of content are you looking for? The content we are looking for may change from time to time. If we are looking for specific types of content, we will indicate this above. We are not looking for fiction at present. We can use system-neutral content. What does that one-year publishing restriction mean? Your work remains your property (excepting news pieces or items set in our existing IP). We have no intention of trying to take that from you, and if you want to sell it elsewhere or publish or use it yourself, it's yours to do with as you wish. However, if we pay you for the work, we ask for the ability to make some money off it before you do that. For that reason, there's a one-year period where we ask that you don't publish it elsewhere, either for sale or for free. After that year is up, you can do whatever you like with it! Remember, though, that we can still continue to use it. How do I get paid? We make payments to freelancers on or about the 15th of every month. Payment is made via PayPal. Unfortunately, we cannot pay by cheque or bank transfer. Are there any submission guidelines? Yes! Check out our writers' guidelines page.